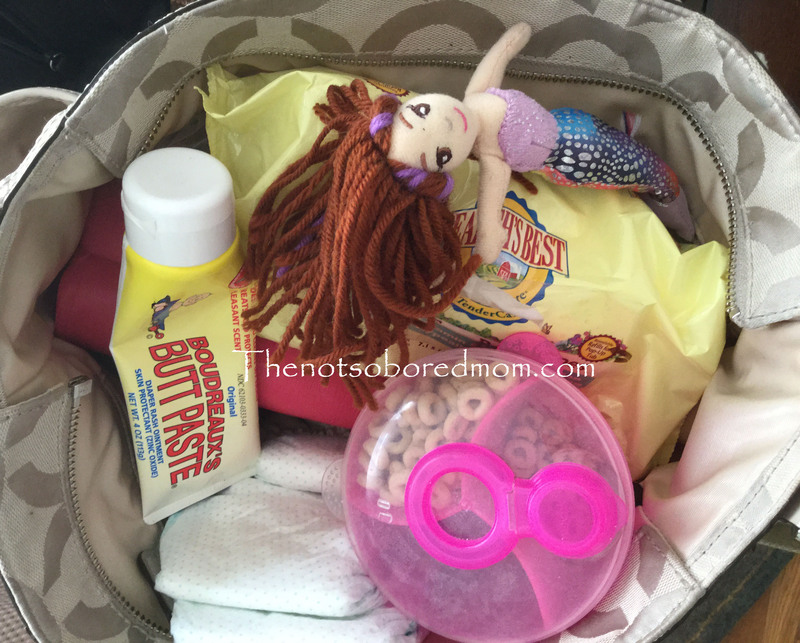 What is in your diaper bag? My diaper bag is overflowing. I don’t think I have ever been able to zip it. It holds the typical essential items (diapers, wipes, snacks, toys and a sippy cup) but its filled with lots of extras so we are prepared to be out of the house for a few hours or the whole day. Since my daughter has grown from a baby to a toddler we slowly swap out items with a version that’s more age appropriate. One of the latest additions to her diaper bag was the Nuby Wash or Toss feeding utensils. These are a must for a toddlers diaper bag. If I want to enjoy my own lunch or dinner with my husband my toddler must be kept busy. What better way to keep her busy then by her learning to feed herself. This is an essential skill that promotes independence and it seems to be fun for her as well. My daughter loves trying to pick up her food with her spork or spoon and I love that meal time is enjoyable for everyone. The box of Nuby Wash or Toss contains 8 spoons and sporks but we only keep one set in the diaper bag. I love that I don’t have to worry about these being left behind at a restaurant. Or if they are to messy to clean we can just toss them. The design is sturdy. Much sturdier than using plastic cutlery and safer too than typical fork prongs. They are durable enough to reuse. I like having that option too! 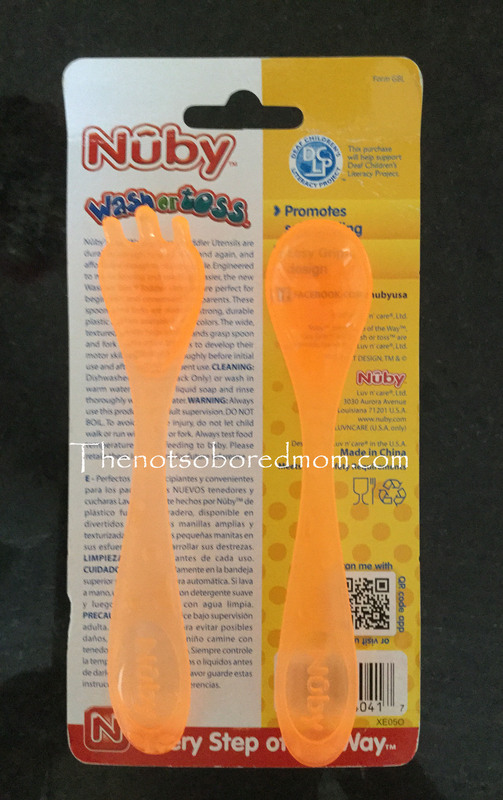 Nuby Wash or Toss Feeding Utensils are perfect for travel this summer! If you are heading for a day trip to the zoo or a week long vacation make sure you pick a pack up at your local Meijers store. If you love these utensils check out the Nuby Wash or Toss cups. They would make another great addition to your diaper bag. For additional information about these Nuby products, follow Nuby on their social media sites http://www.facebook.com/nubyusa or http://www.twitter.com/nubyusa. Disclosure: I am part of the Nuby parents blogger team. All reviewed products are given to me in part or in whole for my time to produce a review. All opinions are my own. We always keep our wash or toss utensils in my bag too! They are so great! Mommy summer fashion and giveaway!